Roberto Mancini knows about titles. In fact the former Inter manager won his fair share of them until he was sacked for the likes of Jose Mourinho just a year ago. 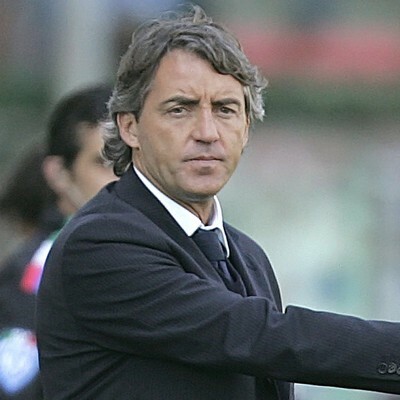 and since Mancini’s departure from Serie A he has bidded his time. And now the time has come for the three time Serie A title holder to coach a new team. Mancini was appointed manager of Premier League squad Manchester City in a surprising move that saw the release of Mark Hughes from his current deal. Hughes’ City was only a few points back from a UEFA Champions League birth, but with record signings this season for the club first place is the only seeding on Manchester City’s mind. So Mancini takes over a team with extremly high expectations in a league that is considered potentially the most competetive. Not an easy assignment for any coach in their first year. I want to wish the best of luck to my colleague Roberto Mancini for his appointment at Manchester City. It will be a great and special experience for him to test himself in a very different reality to Italian football. The Premier League is completely different to what he has known so far. Mancini is a good coach and has an owner (Sheikh Mansour) who spends a lot of money. I don’t see why he shouldn’t be happy in England. With large loads of money come great expectations too. Mancini will have to impress early and often if he wants to remain in the top English league. Obviously seventh place results are not good enough to survive. If Mancini wants to remain with the Blues he needs to make them a pereniall top four squad just like Inter.